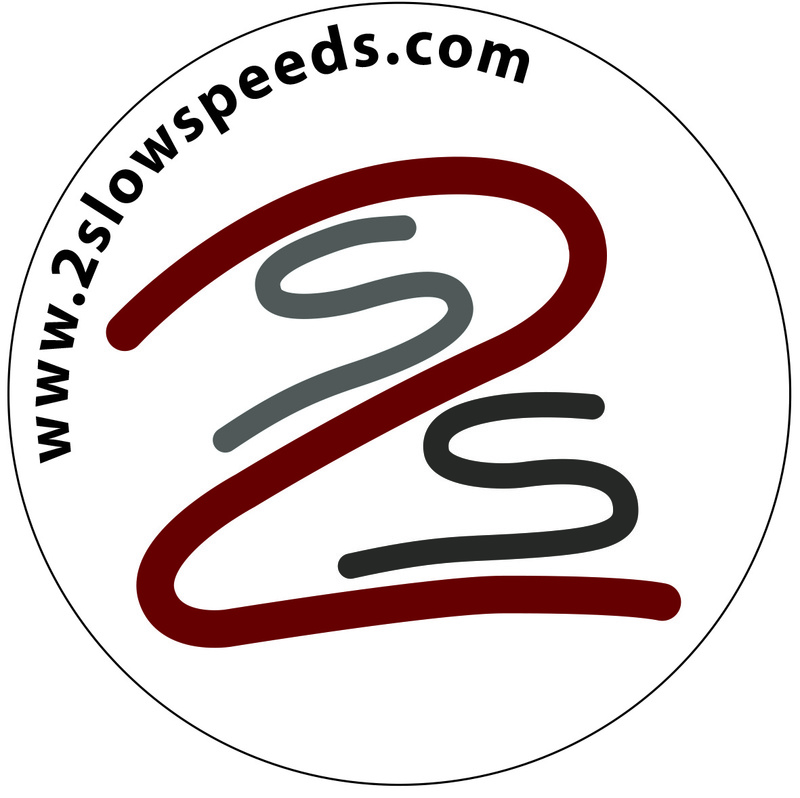 We are 2 Slow Speeds – Anne and Anthony Speed – from Brisbane, Australia: there are 2 of us, our surname is Speed and on the only 2 organised travel trips we’ve joined, we have been nicknamed the “Slow Speeds”. Once when we got left behind, in Antarctica, and then again when we were always last to arrive while crossing Bhutan, as we preferred to stop, take in the scenery and enjoy the local life to speeding ahead. Welcome to our first ever blog, covering our travels from Europe around the world, via the Silk Route, Asia, onto South America and back to Europe, by motorcycle, 4×4 in Southern Africa and our current northern hemisphere adventure. We hope you enjoy following us through our blog as much we expect we’ll enjoy our travels and experiences and no doubt challenges!! Mid 2013, we decided that we wanted to spend some quality time with our parents and family in Europe. While we had returned to Europe on an almost annual basis since we emigrated to Australia some 25 years ago, each trip brought great highs as we arrived then great lows as we departed, even if we spent a few weeks seeing family. As our parents were ageing and we had retired, this seemed the perfect opportunity to go to Europe for nine months and be able to see them all on a regular basis. During this planning process, we considered buying Royal Enfields in India and riding to Europe from there. The time of year, Indian Carnet and other issues made this a non starter, but the idea of a similar trip remained in the back of our minds as we made our plans to leave our home and head to Europe. We also started to consider the idea of buying two bikes in Europe to Australian specification and bring them back to Australia. Much research and an understanding of the Australian Design Rules process showed that this was a forlorn hope. The regulations preclude this type of activity, except in the case of higher value bikes such as Harleys and BMW 1200s which are already on the approved list. Neither the BMWs or Triumphs we were interested in are and the cost in time and money to get them approved is prohibitive. A pity the option of bringing bikes back overland is not available. Still, we put a deposit on 2 demonstrator BMW F700GS on 30th January 2014. What started as an idea, grew a life of its own and became a fully fledged RTW trip. All we have to do is carry it out over the next 14 months. July 2016 update. We did complete our RTW trip in September 2015 after 52,000kms or 31,000 miles and 34 countries over 14 months. A most incredible experience!!! We got home in Brisbane 2.5 years after having first left but we could not settle down – the road was calling!! So we are off again. See our posts for information on where and how but in short, we decided to make the best of our circumstance: Anthony is slowly recovering from foot surgery from his accident in Argentina, so we are mixing easy road riding and 4×4 in South Africa, Botswana and Namibia for 4.5 months. November 2016 update. What a fabulous trip. We spent a month riding from the UK to southern Spain via France before flying to Cape Town where we reconnected with old friends and rode Royal Enfields before picking up a 4×4 campervan to explore Botswana and Namibia. We hope you enjoy our trip posts. March 2017 update. The original idea of spending time at home, redecorating, painting our place, doing something with our little patch of garden quickly turned into planning another trip!! Another around the world trip, a northern hemisphere summer one where time and weather will dictate our progress and route. The route broadly is to cross Europe, return to Iran and the Stans to visit friends we made on our last RTW trip, Mongolia, Russia, South Korea, Alaska and Canada. But when we found a few stumbling blocks with timing, pricing, ramadan dates we switched our route by 180 degrees and are now chasing the sunset. This trip now starts on 14th April in Montreal. Great meeting you the other day at Bex’s on Londoner Strasse. I will be following your blog and trying to get some tips for when we do it (in about 20 years time!!!!). Safe riding!!! Anne – I met your mother in Canterbury last week, where she gave a delightful tour of the cathedral. She happened to mention your adventure and we were all very impressed (and terribly envious). I hope you’re having a marvellous time. Finally,I came to know your blog. Mr.Anthony and Ms. Anne,my prayers will be for the two of you as you explore the world with Safe and Guidance of Almighty God. And we are glad to see you again here in Hilton Sharjah, UAE. Great to hear from you! Take care too. All the best. I enjoy following your blog. It is amazing how adventures attract such similar people. My wife, Tammy, and I spend months on the road on our R 1200 GS, BMW’s and feel muich of your story is ours as well. Ride safe and warm regards for fellow riders. Thank you, glad to have you on board as a follower. Had a quick look at your site and seems you have done some interesting things In your life. We are lucky to have partners who enjoy motorcycling as we do. Especially ones that ride their own bikes! It was great to meet you too!! Looking forward to hearing from you somewhere on your travels soon! Take care and safe riding. It was wonderful meeting you and knowing about this incredible experience. One day, I will fly to Australia and continue our 45′ chat. Have a safe trip home! Dear Beatriz, so great to hear from you! Looking forward to your visit one day! It was nice meeting you and in Santa Fe. I hope you have a nice trip. Drive safely. Hope we meet one day. Hey guys, congrats on your epic trip. I’m here because you my cousin Elisa met up with you again after a chance meeting 30 years ago in Alaska. I live in Victoria, B.C., and would have loved to meet up with you when you were in B.C. Maybe next time! I also have been blogging since I resumed motorcycle riding after a 50-year hiatus. You can find me here: nomadsam46.wordpress.com. Happy trails, and keep the shiny side up! Hi Sam, what a great surprise to get your message, thank you so much! I have read your blog – how smart and brave of you to go on those off-road courses after returning to bike riding after a 50 year gap!! Hope you recovered completely after your falls. The body takes a bit longer to get over such mishaps these days!! It would be fantastic to meet up one day – who knows when though… In the meantime, take care, happy riding and of course, keep the shiny side up :-). Hello Anne and Anthony. (Melinda from King). I have just gone through all your fabulous photos of your inspirational journey. Steve and I thoroughly enjoyed the pics of Uzbekistan in particular. The mosaics are magnificent! Thank you for sharing your life in pictures and for allowing us as your “followers” to also behold the beauty! Thank you very much! You have travelled heaps already too. Retire early, you won’t regret it!! Better travel when still young and fit enough than save more more but ‘miss the boat’ because of health. All the best! Getting used to being home for a while!! So wonderful to have met you both on the ferry to the Kootenays in BC, Canada, last summer! You two are an inspiration! Enjoy your travels and hopefully we will connect again soon, whether in Auz (Byron Bay & area is our usual destination) or who knows, on a trip with you!